Join Courtney Hansen, the editors of Autoweek, and a whole lot of passionate car guys as they bring you unparalleled access to the automotive lifestyle. The show is set to premier on 1/17 on the Velocity channel at 8:30pm EST. During their ‘Competition’ episode, Rhys Millen buckles up with Courtney and gives her an insider’s look at competition. Plus, they take to the track and watch Millen put some horses through their courses while Courtney holds on for dear life. Also, the competition gets heated between two rival auto execs. For more info and updates, be sure to follow Autoweek’s Vinsetta Garage across the web. #1 Qualifier Rhys Millen is featured in this video. Check it out. Drifting is back! 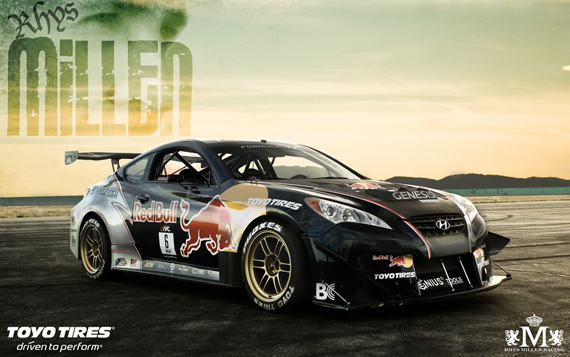 Fans can download new desktop wallpapers of Rhys Millen and Ken Gushi in action at http://toyotires.com/tire-motorsports/downloads. 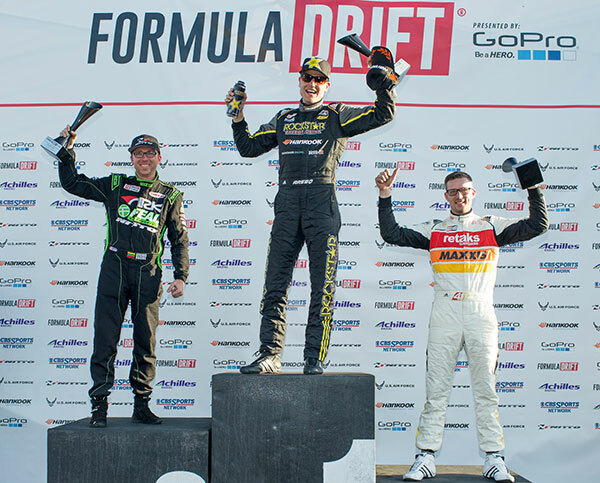 Follow these Team Toyo drivers as they kick-off the 2010 Formula DRIFT season this weekend at the Streets of Long Beach in California. Both Gushi’s RS-R Scion tC and Millen’s RMR Hyundai Genesis Coupe are equipped with Toyo Proxes R1R tires. Learn more about these extreme performance tires at http://toyotires.com/tire/pattern/proxes-r1r.